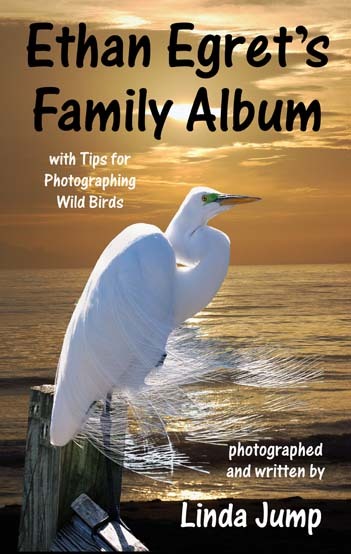 Ethan Egret’s Family Album is an easy-reader for children 5 to 10 featuring color photographs of the Great Egret’s life. Share Ethan’s story and photo album as he finds his mate Emily and raises mischievous chicks Chloe and Joshua in his Florida wetland home. How will Ethan handle Chloe’s ride on an alligator? The book, Ethan Egret’s Family Album, ISBN 978-0-9829647-0-5 is for sale from the Web Store at www.terrasanctapress.com. For bulk orders at a substantial discount, email the publisher at books4you@cfl.rr.com. Photographs in this book may be purchased individually or in a set of six as Wall Art, double matted and ready for framing. These limited-edition, numbered images are signed by the author-photographer Linda Jump. 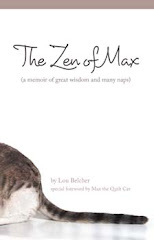 Call Pat at Terra Sancta Press 321-914-2290 between 11:00 a.m. to 8:00 p.m. EST/EDST. Linda is available for book talks, nature photograph programs, workshops, and photo-shoots. Linda Jump, photojournalist, is also the best selling author of the book of church bloopers, The Lighting of the Acolyte. Linda is an Empire State College graduate with an M.A. in Culture and Policy Studies. Her career as a photographer and reporter spans three decades with news presses in New York and Florida. As an accomplished nature photographer, her limited-edition photographs are in demand. Linda’s first children’s book Ethan Egret’s Family Album and her guide to memoir writing book From Memories to Memoir Using the Jump Start Method were released in November 2010. The six favorite images from EEFA can be purchased as photographic wall art in two sizes. Reprints of Tips for Photographing Wild Birds can also be ordered. She co-facilitates a class, titled Writing Your Life, for the Shepherd’s Center of South Brevard, Florida. The class encourages elder students to write their memoirs. Ethan Egret’s Family Album is a charming book that will entertain and teach both child and parent about the early family life of one of America’s most elegant and loved birds. The words and stunning photographs complement each other and offer fascinating details for everyone. I look forward to many readings of Ethan Egret’s Family Album to my grandchildren. Ethan Egret’s Family Album is a pure joy, nature at its best. I especially liked Linda Jump’s sequence of capturing the egret’s life and then writing the story. I would read it to my first graders. This story of Ethan and Emily Egret’s family journey is enjoyable, well-researched and written; a story that is filled with biological facts and an essential lesson on emotional and practical parenting. This engaging story should prove to become a staple nature classic. All ages can read, learn and enjoy. Ethan Egret’s Family Album is a book that young readers and their parents alike can enjoy and learn from. I particularly found the photos and descriptions of the ways the parents feed their young something that many youngsters are not aware of and probably have never seen. For all who care about our wildlife and environment, Ethan Egret’s Family Album spotlights the complicated life and the struggles these marvelous birds deal with every day. The fact that you shot so many beautiful images of the Great Egrets to chronicle their courtship, nest building, egg laying and raising of their young is fascinating. Thank you from all of us who dearly love our outdoors. Your book is awesome. I loved the pictures. Read it again! I didn’t want to be a bird in your book. I want to be a shark. How come Chloe gets to ride on an alligator? I enjoyed the book so much that I bought one for two of our great nieces,one for our 27 year old son, and one for my husband (author's brother)and myself. Since I work in an elementary school, I felt our media center need a signed copy too!